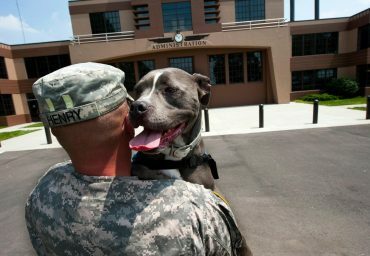 American Humane has been first to serve with the U.S. military for a century: Our animal rescue program was born on the battlefields of World War I Europe, where, at the request of the U.S. Secretary of War, volunteers with American Humane deployed to rescue and care for 68,000 wounded war horses each month.We continue to proudly honor this legacy today through American Humane’s Lois Pope LIFE Center for Military Affairs. 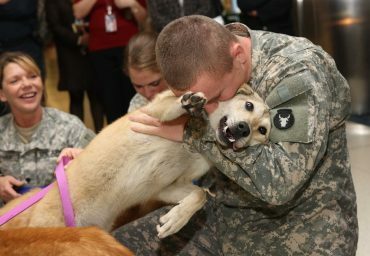 The program, founded through the generosity of philanthropist and passionate veterans advocate, Lois Pope, offers meaningful support to our Armed Forces with two key areas of focus: first, providing lifesaving service dogs to veterans suffering from Post-Traumatic Stress (PTS); second, protecting America’s hard-working military dogs and recognizing their heroic contributions to our country – both on and off of the battlefield. 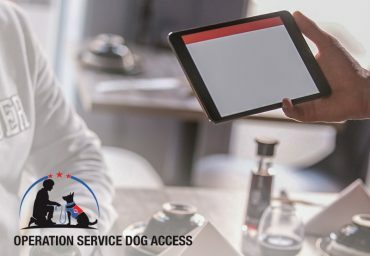 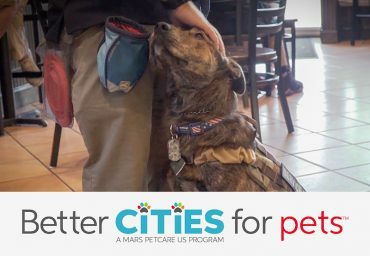 Our Pups4Patriots™ program gives veterans with PTS and TBI with support they need, while also giving shelter dogs across the United States a second chance at life — ultimately saving lives on both ends of the leash. 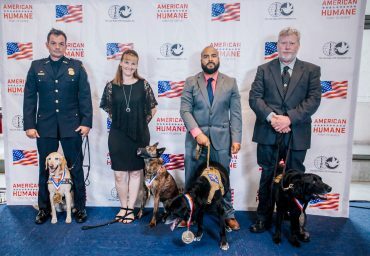 Philanthropist Lois Pope is one of the nation’s leading advocates for America’s active-duty military, veterans, and military animals. 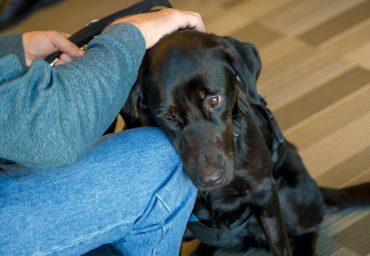 With her help – and yours – American Humane is opening a second century of caring for our military heroes – at both ends of the leash.